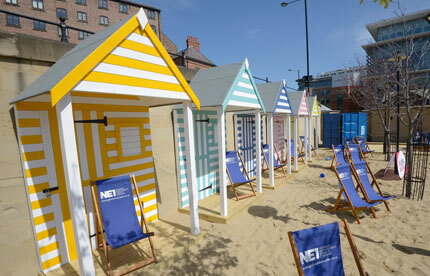 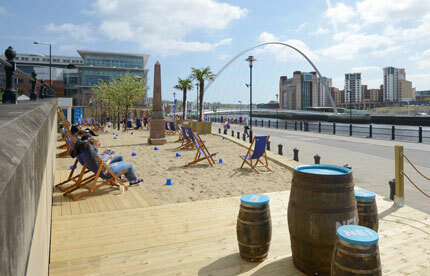 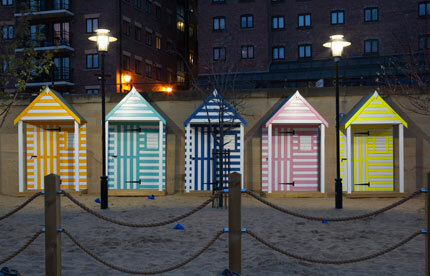 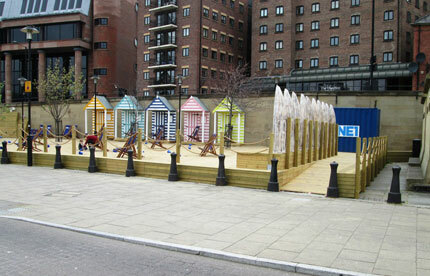 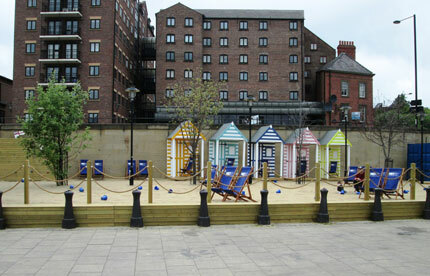 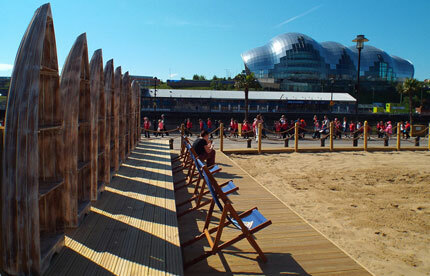 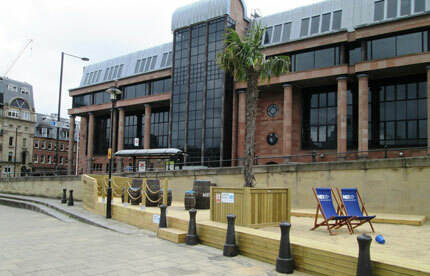 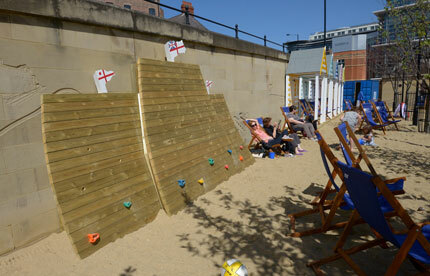 Four years on and over 50,000 people visiting the pop up beach each year down at the famous Newcastle quayside, NE1 decided to revamp the quayside seaside. 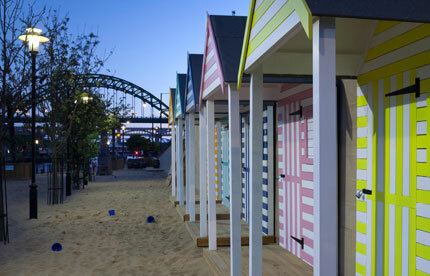 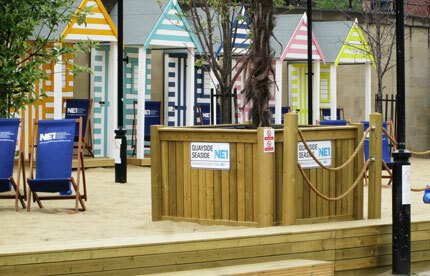 NE1’s award-winning pocket park programme is now bigger and better than ever, with more beach expanding to 250 square metres of sand and decking, 5 handcrafted beach huts, a boat front and climbing frame and a large staging area. 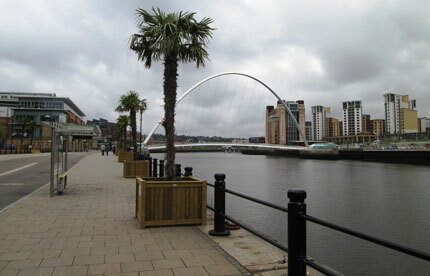 10m high palm trees are displayed in ten 1400sq Versailles planters. 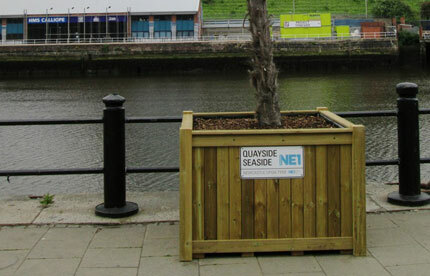 Robinson Landscapes were handed the task of creating something bigger than the previous year, and who better to contact than Taylor Made Planters given that we had the experience fabricating the previous project. 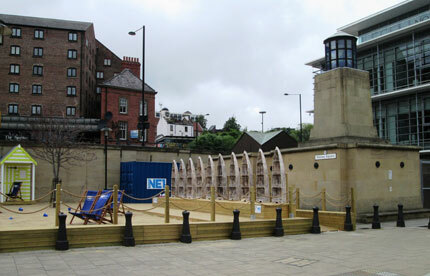 We had our work cut out this time, but we worked hand in hand to ensure that everything was a good fit, right down to the last mm. 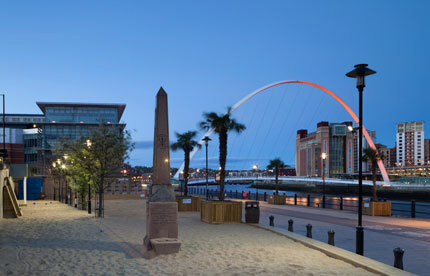 After scrutinising the design and identifying areas of improvement, we had a solid base to work from and soon got to work. 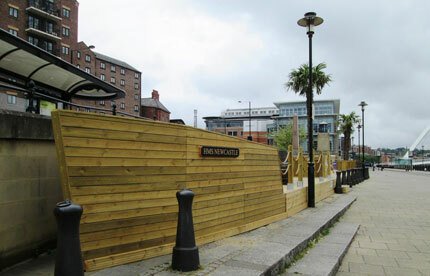 The Taylor Made Planters team completed the task of installing this mammoth project, working within a tight deadline to ensure it opened to the public on time. 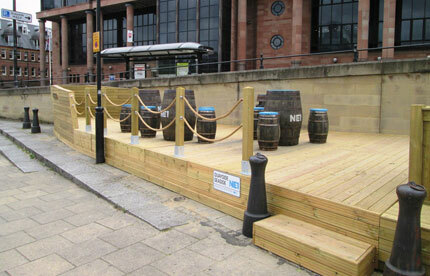 Take a look at the end result; we are really proud of it.